And as if that weren't enough, tomorrow is my birthday! I finally bit the bullet and conceded that my husband cannot read my mind. Oh no he can't. I now sit here at the computer resisting the urge to look in the freezer where I just know that the cookies and cream ice cream cake will be waiting for me tomorrow. Because he really does like to please me but for some reason he can't read my mind and then forces me to tell him exactly what my expectations are. Marriage tip for all the newlyweds out there: Your husband cannot read your mind. He doesn't love you any less just because he forces you to be clear and vocal about your expectations! I can almost taste that cake now... I wonder if I can have it for breakfast. Mmmm... that would be a great way to start the day. Look! 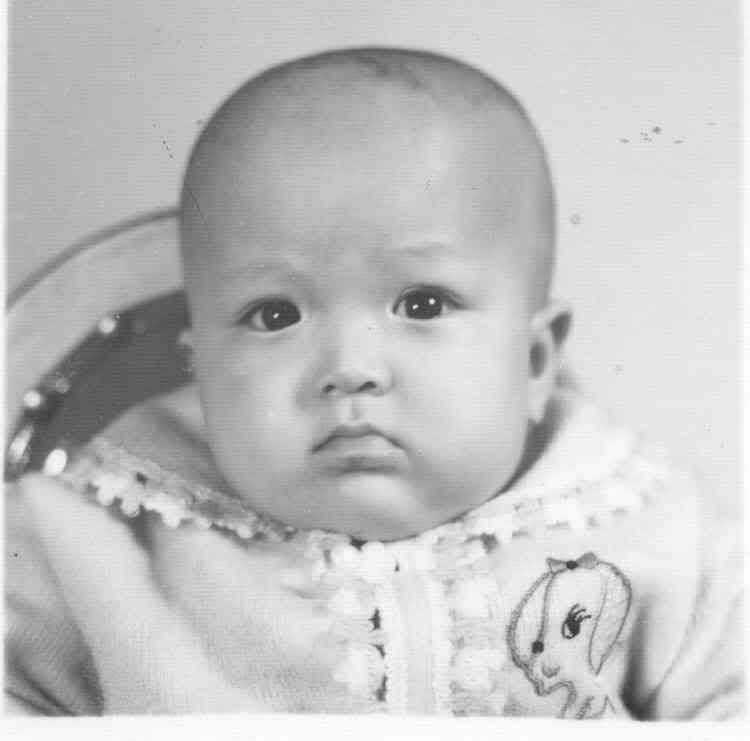 It's baby Marsha when I was 3 months old! I think I've come full circle now. Chubby cheeks and chin? Check!